Though they’re a background fixture that most guests and visitors don’t think about, porta potties fulfill an essential need at outdoor events, work sites and parties. Whether you’re hosting a graduation party with your friends and family, you’re preparing for a city-wide outdoor event, or you’re working on a new construction site, we have porta potty rentals in Lansing and Mid-Michigan for every occasion. Porta potties allow you to comfortably work or host events almost anywhere. To accommodate your work crew or small party, you may only need one or two porta potty rentals. For big events with hundreds of attendees or large-scale projects, you may need an organized group of male and female portable restrooms to accommodate everyone. It’s important to ensure that all your guests and visitors are comfortable at your event or worksite. When there aren’t enough porta potties available or if they aren’t accessible to everyone, it’s difficult to work or enjoy an event. 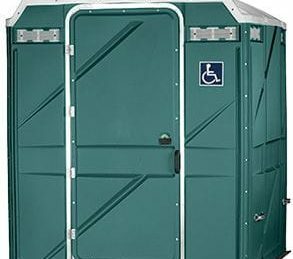 That’s why we have dozens of porta potty rentals available in Lansing and Mid-Michigan, including handicap accessible and ADA compliant porta potties for events and worksites of all types. With a simple, compact, yet intelligent design, each porta potty rental is made to stay neat and clean with minimal upkeep. 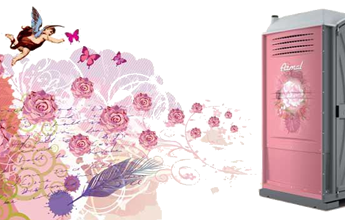 If you’re hosting a wedding, shower, or another special event, you may be interested in our rose-scented portable restrooms. 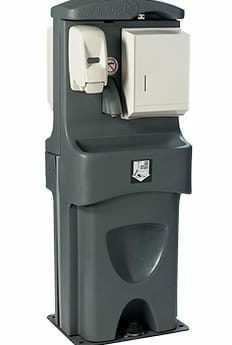 To prevent the spread of germs and keep your event sanitary, we also have portable hand washing stations available with our Mid-Michigan porta potty rentals. Regardless of what you’re looking for, we can help you put up and maintain your porta potty rental anywhere in Mid-Michigan. 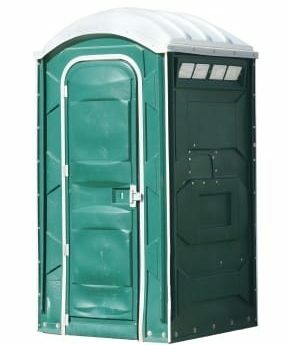 Contact us today to rent portable restrooms for your event or work site.